Your first New Zealand Great Walk is like a rite of passage – exploring the unknown and pushing yourself out of your comfort zone – it’s awe-inspiring, humbling and life-changing in some ways. The North Island is home to three New Zealand Great Walks, each offering a unique landscape and experience. Here’s a few important things you may pick up on along the way. Majestic waterfalls, crimson volcanic craters, and brilliant emerald lakes – you’ll definitely come across an abundance of natural wonders to admire on any New Zealand Great Walk. But it’s also the little things that you tune into when all you have to do is put one foot in front of the other. Like how good food tastes after the first 10km, the comforting feel of your backpack weighing you down, and the slow and steady rhythm of your steps along the trail. There’s also a depth and honesty to the conversations you have on your way, with old friends or with new ones you make along the trail. It’s as if being out there, in the wild and free allows you to say things you wouldn’t normally share. Maybe it’s the sense of vulnerability that creeps in when you are out in the elements, with mother nature dressed in all her glory is there to behold, take heed and respect. That’s when you can’t help but whisper an inkling of your hopes and dreams, inviting the universe to listen. As fulfilling as it is to complete a New Zealand Great Walk, it’s also an experience that requires a bit of planning and preparation. 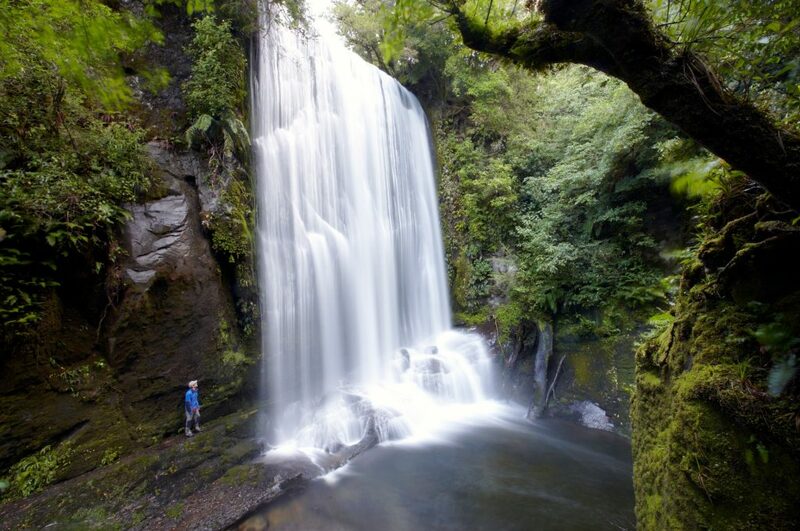 New Zealand’s nine Great Walks (ten once the Paparoa Track opens in September 2019) are top trails that challenge trampers of all levels and backgrounds. With a good possibility of experiencing all four seasons in one day here in New Zealand, it’s really important to be prepared. Sunhat, waterproof jacket, food, extra water and emergency supplies – it’s vital to be prepared to brave all kinds of weather. It also helps if you do a little homework and study the terrain, get an understanding of the trail and the direction you are heading, check the latest track conditions or alerts before you go and always let someone know where you are going and when you are planning to return. The Department of Conservation shares info about the Outdoor Safety Code so you can enjoy a New Zealand Great Walk to the fullest and make it back home safely. Just because you didn’t grow up tramping in backcountry huts doesn’t mean you aren’t fit enough to take on a Great Walk. Nor do you have to come from a family of hiking enthusiasts to seek out some time to explore New Zealand’s great outdoors. There’s nothing like making time for yourself, taking a break from everyday life and simply put, go bush. Sun in your face, wind in your hair, and powered by your own two feet, it’s a different type of awareness that sets in out there. And at the end of a Great Walk, you feel somewhat lighter (mentally as well physically) because after making space in your thoughts and in your surroundings, you gain a clearer sense of purpose and understanding of what matters to you most. So if you’re even a little bit inspired to take on a Great Walk, the North Island is a mecca for trampers from all over the world and from all different backgrounds. 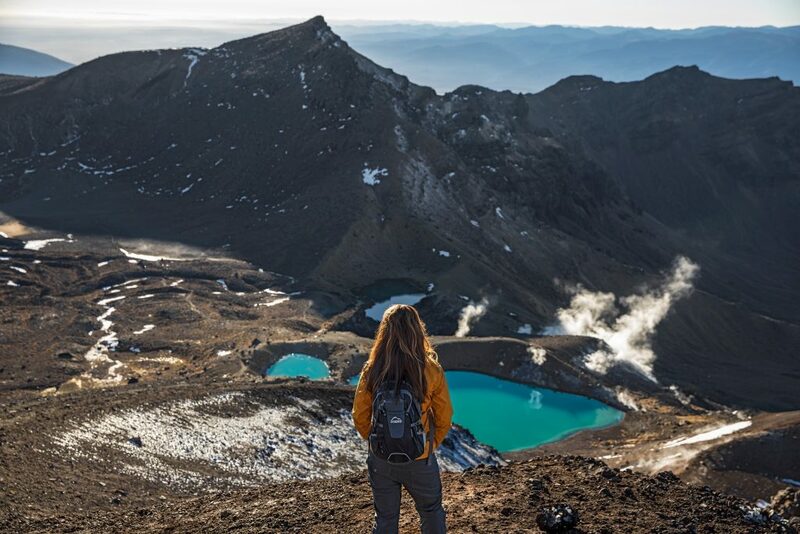 Avid and budding trampers alike have not just one but three New Zealand Great Walks to discover around these parts including the Tongariro Crossing, Lake Waikaremoana and the Whanganui Journey – offering a mix of multi-day tramps and single day walks like the 19.4 km Tongariro Alpine Crossing. For another awesome day walk right in our backyard, Rotorua has the must-experience Tarawera Trail. 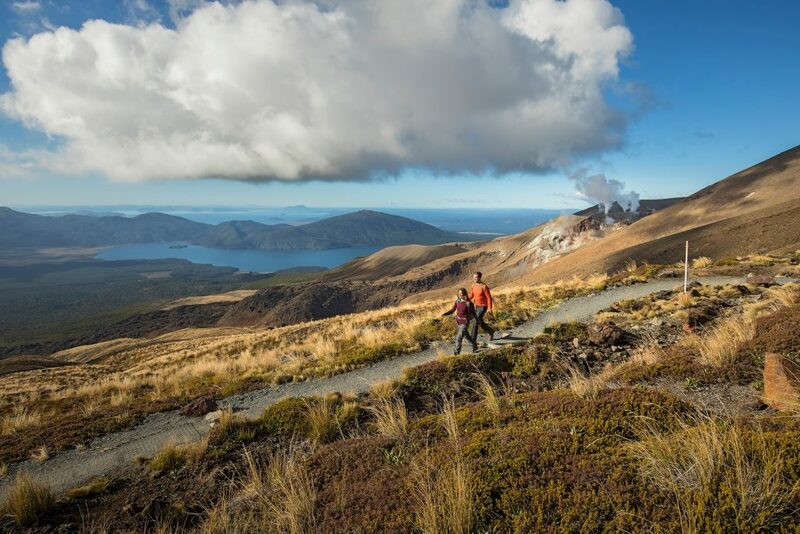 There’s the 15 km Tarawera Trail to Hot Water Beach, or you can explore Mount Tarawera through one of our combo hiking packages that includes a 4WD guided tour to the crater’s edge. With no shortage of great walks and plenty of wide-open spaces to fuel your wanderlust, isn’t it about time to start planning your next adventure?